Marina Shifrin: Woman Quits Job in Sweet Dance Video. 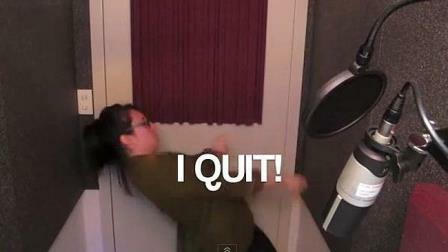 Marina Shifrin who worked for an animation company, uploaded Video onto YouTube with a simple message to her boss: She Quits Job. “For almost two years I’ve sacrificed my relationships, time and energy for this job and my boss only cares about quantity and how many views each video gets,” she wrote. In the video, she dances around her office at odd hours of the night while describing exactly why she needs to leave her job.